Hey Everyone, Ashley Fowler here, sharing another layout with the April 2014 Hip Kit Club Main Kit & Add-On Kits. This layout was based on the mood board for our April Layout Challenge in which I specifically focused on the hoop art, sunburst pattern, black & white elements, and the sequins. I began my layout by using a sunburst stencil to add a pattern and a “pop” of color to the cardstock background. I matted my photo with 2 of the patterned papers from the kit and then began embellishing my page. I used the Elle’s Studio stamp set from our April Stamp Add-On Kit and those beautiful Plus One Rub-Ons for extra color. Lastly, I added sequins and India Ink to give that final spice! I hope you all enjoy this layout and gain some inspiration too! You still have a week to share your layout inspired by our April Mood Board for your chance to win our April Grab Bag. 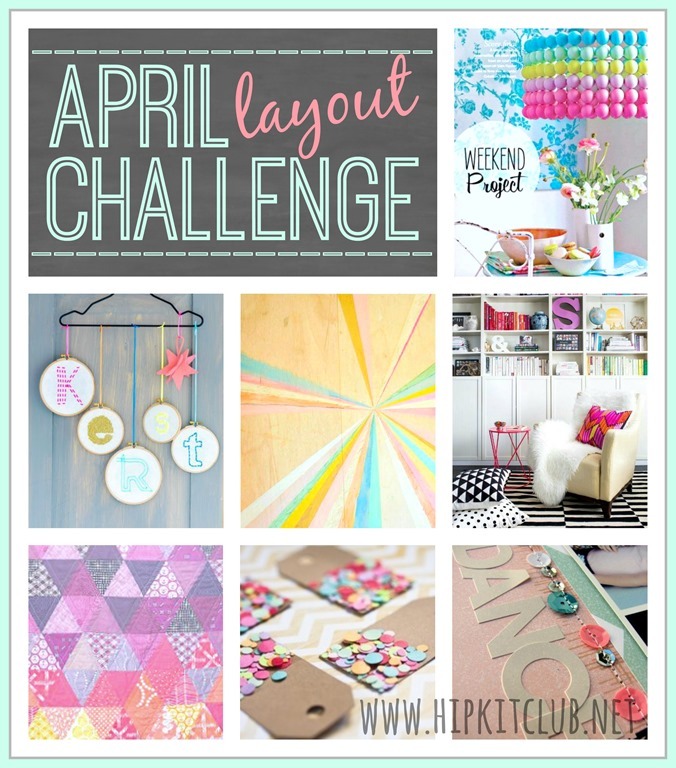 CLICK HERE for complete details on our April Layout Challenge. Happy Saturday y’all! Hip Kit Club Layout Process Video created by Ashley Fowler *aka Ashley Laura on YouTube* featuring our April 2014 Hip Kit & Add-On Kits.